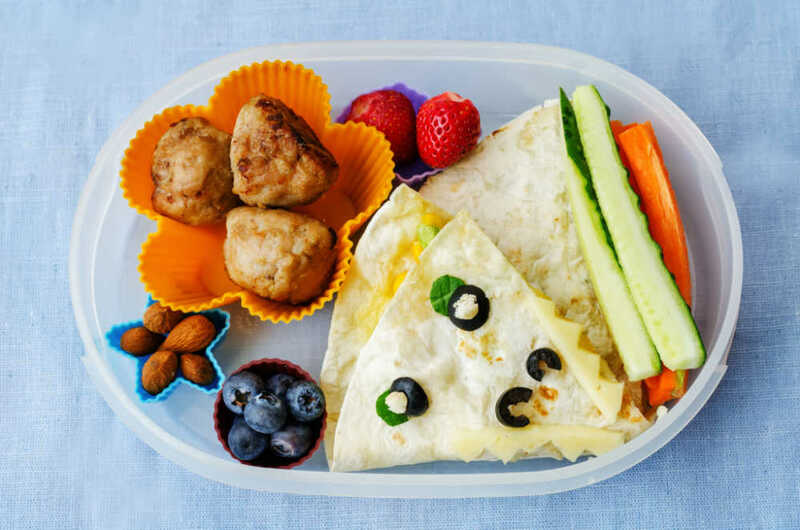 New strategies for packing school lunch are always in demand, so check out ten of our top tips for what to pack for both a kid and parent-approved lunch! With school almost back in full swing, it’s important to send your children to school with a healthy and delicious lunch. 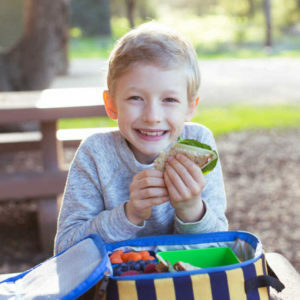 Skipping lunch can hinder your child’s ability to concentrate in class, decrease energy levels during afterschool sports, and make it more likely that he will grab those less healthy snacks later in the day.1 Plus, packing lunch can be easy, simple, and more affordable than buying lunch each day. Keep these ten tips in mind to create the perfect brown bag lunch! Leaving the lunch packing for the morning can make your morning hectic and may make packing lunch feel like a hassle. Instead, try packing your child’s lunch the night before and keep it in the refrigerator. Some parents find it easiest to prepare lunches either before or after dinner– experiment to see what works best for you! 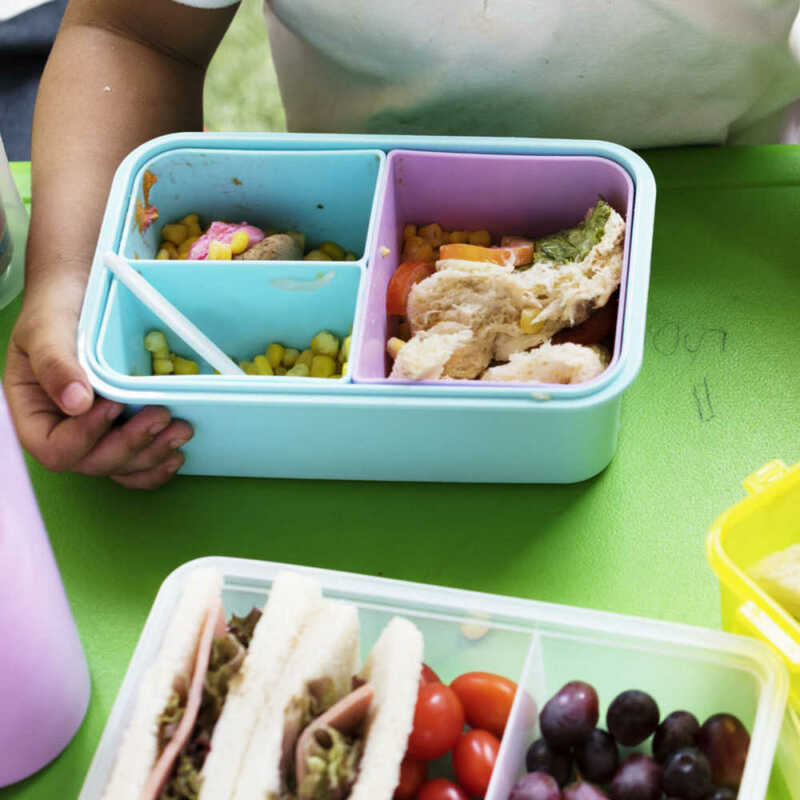 When packing your child’s lunch, use lunch boxes and plastic containers. This will help keep cold foods cold and hot foods hot and it is also environmentally responsible and will help ensure your child’s food stays a safe temperature. When choosing plastic containers, look for ones that are free of known toxins, such as BPA. Look for BPA-free plastics or opt for stainless steel or glass containers – just as you would do when looking for BPA free cans with your canned foods. Have leftovers from dinner? Use them as lunch for the next day. Leftover chicken can be remade into a chicken salad sandwich or a chicken wrap. This will cut down on food waste from the previous night’s meal AND provide your child with a healthy, balanced, already prepared meal, saving you time and money! Incorporate seasonal foods into your child’s lunch. Seasonal foods tend to taste fresher and contain peak amounts of nutrients. On a cold winter day, pack soup in a thermos. Then, during the spring, pack a colorful salad using in-season produce. If your child is bored with her lunch, she will be more likely to throw it out or trade it with friends. Instead of packing a sandwich every day, mix it up! 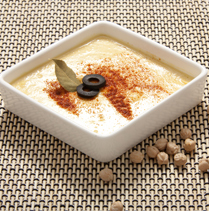 Give your child wraps, salads, soup, cheese and crackers, pita and hummus, and other new foods to keep it interesting. Packing your child’s lunch in a bento box is another fun way to switch it up. Ask your child what she likes best, or what she would like to try! Add an encouraging note or small treat to let your child know you are thinking about them during the day. A few positive words go a long way! Be sure to keep food safety in mind when packing your child’s bagged lunch. Wash your hands before preparing their lunch and pack a disinfectant wipe so they will have clean hands before eating. Remember to make sure your child’s lunch is balanced. 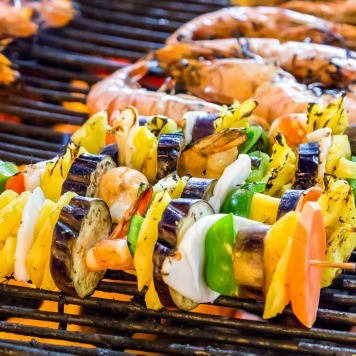 Aim to include foods that have dairy, whole grains, fruits and vegetables, and protein. Boxed raisins are a perfect way to get in tasty fruit with no prep on your end! 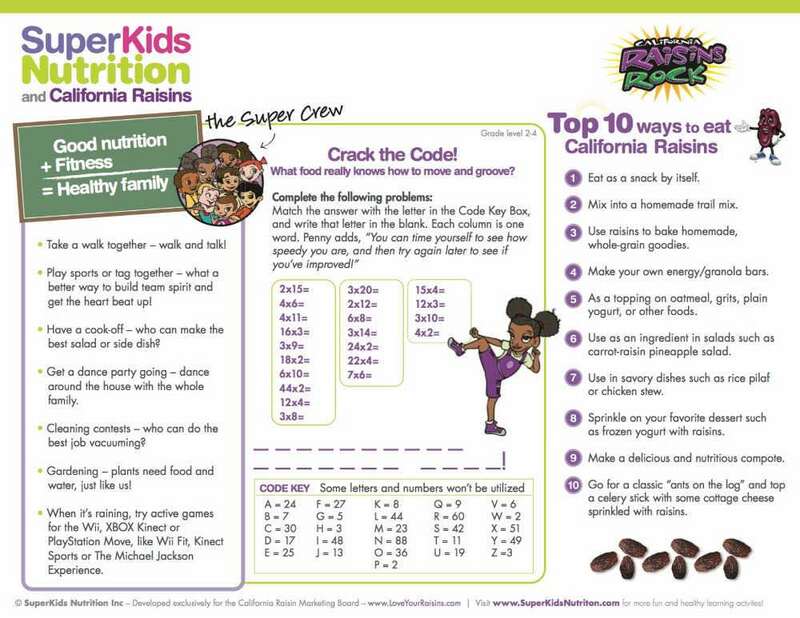 Have your kids try the Super Crew’s crack the code raisin activity to make them more excited to eat their raisins. Balanced lunches and snacks will help fuel your child for sustained energy to get them through the whole school day. Sending your child off with a treat will help make your child’s lunchtime experience feel a little more special, and this doesn’t have to make it less nutritious! The right treats can be used to get in even MORE nutrients. Follow these lunchtime dessert tips to help optimize your child’s nutrition AND help make lunchtime even more exciting. 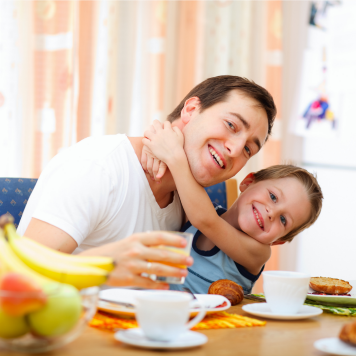 Along with healthy treats, snacks provide yet another opportunity to help boost your child’s nutrition. Here are some snack packing tips for ideas and inspiration. Then check out even more snack tips here! Remember, you don’t have to implement all of these changes at once. Choose 2 or 3 to focus on first and see how much more your kids enjoy their lunches! 1. Collins K. Making the Grade at Lunchtime. Kids eatright. https://www.eatright.org/food/nutrition/eat-right-at-school/making-the-grade-at-lunchtime. Published 2018. Accessed November 13, 2018.